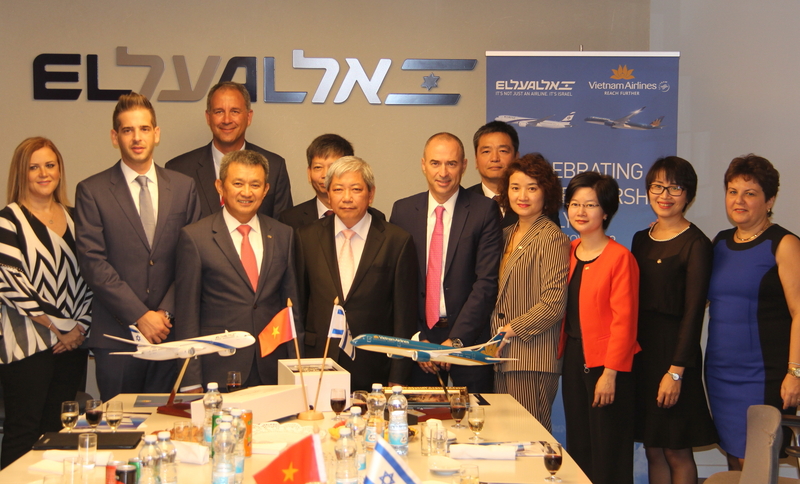 EL AL and Vietnam Airlines have launched codeshare flights between Tel Aviv and Bangkok and Tel Aviv - Hong Kong, to both Hanoi and Ho Chi Minh (Saigon). Flights are operated by Vietnam Airlines on the Hanoi / Ho Chi Minh - Bangkok / Hong Kong route and by El Al Israel Airlines on the Bangkok / Hong Kong - Tel Aviv route. The codeshare enables passengers to check-in just once, receiving the boarding pass for their connecting flights at the original point of departure. Israel is one of Vietnam's most important partners in the Middle East with total bilateral trade of over US$1 billion per annum. See latest HD Video Interviews, Podcasts and other news regarding: Vietnam Airlines, El Al.